Geelong Visual Diary: What to do with that blessed Christmas tree? What to do with that blessed Christmas tree? GEELONG councillors will tonight decide the future of the city’s $1m floating Christmas tree. 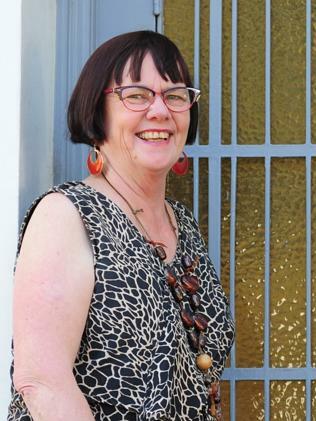 A year ago, Geelong councillor Jan Farrell raised concerns about the lack of a business case for the tree, the tight time frames for the project and feared it financially could become a “bolting horse”. Those concerns appear to have been valid with tree’s main contractor, Creative Production Services, wanting out of a five-year deal to install and maintain it. The company has claimed the cost of building and installing the tree last year was more than the agreed $450,000 and that it will be unable to meet the ongoing costs of maintenance, installation and storage for the yearly budget of $135,000. A report to council indicates that if CPS does not complete the services, it will cost ratepayers more for the ongoing installation, dismantling and storage costs.. The council was warned costs for the project, a pet project of Geelong mayor Darryn Lyons, had the potential to blowout. A year ago Cr Farrell warned that the project had “no scope”, “no business plan” and feared it was a “bolting horse”. To remind you of the heated discussion on this issue a year ago, check this Advertiser report on the June 24, 2014, council meeting. THE Geelong council is at war over the mayor’s Christmas decoration and city lighting plan, with a call made at Tuesday night’s meeting for an independent probity audit. Cr Jan Farrell called for the City of Greater Geelong’s $2 million budget allocation for an “iconic” Christmas tree, decorations and street lighting to be deferred, pending an audit by an external auditor. She had earlier moved an item be taken out of in camera and debated in the public council chamber in front of the gallery and media. An impression of a floating Christmas tree on the Geelong waterfront. 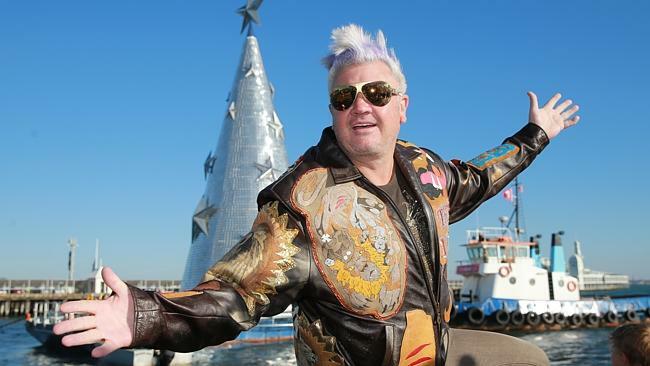 The Geelong Advertiser understands the confidential item related to mayor Darryn Lyons’ Christmas in Geelong project. Later in the meeting, Cr Michelle Heagney, who is responsible for the key portfolio of central Geelong, moved an urgent late matter to have an officer report prepared into the Christmas project. When the motion was defeated by the mayor’s casting vote, Cr Heagney expressed frustration at a “very concerning” lack of transparency in council. Cr Heagney said she sought the report because six councillors had expressed concern over the process. Both Cr Farrell’s motions were also ultimately unsuccessful, with Cr Lyons using his casting vote to support a motion by Cr Stretch Kontelj to remove the probity audit motion from an overall motion to accept the council budget. The budget was ultimately passed. Cr Farrell said she was concerned there was “no scope” and “no business plan” for the Christmas project, adding the current “she’ll be right on the day, mate” attitude didn’t sit well with her and a number of other councillors. An audit was an attempt to put parameters around what appeared to be “a bolting horse” in the council chamber, she said. Cr Stretch Kontelj dubbed Cr Farrell’s plan a “bonehead strategy” which would undermine the council’s negotiating ability by revealing its commercial hand. “To hijack the vote is not proper,” Cr Kontelj said. He added that to suggest a probity audit was needed was “overstating the situation”. Cr Farrell said the Christmas project needed to be transparent as it could continue to cost the Geelong community into the future for up to 10 years. “This secret men’s business is entirely inappropriate,” she said. Cr Farrell added she doubted there would be other council projects “where $2 million was thrown up without a business case”. Lara’s Cr Tony Ansett said he was representing the people of his ward when he supported the budget Christmas tree and lighting allocation and was sick of “whingeing”.